The fight between the ruling Congress party in Puducherry and Lt. 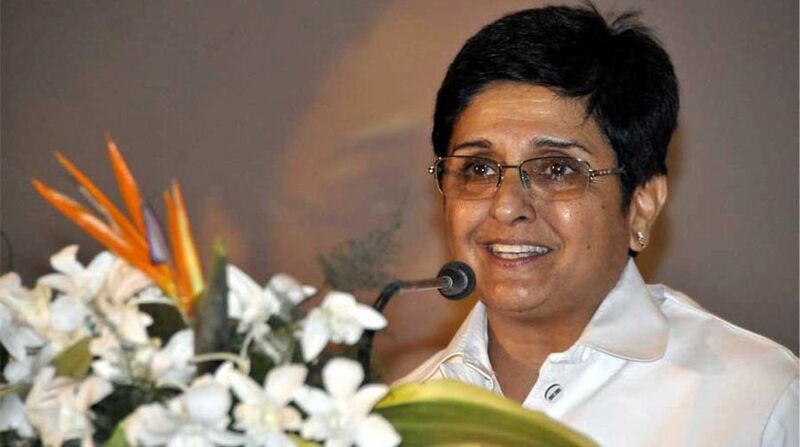 Governor Kiran Bedi turned further ugly with the party putting up posters likening her to Adolf Hitler. Curiously, Bedi has posted the posters on her Twitter handle. In a wall painting, Bedi was depicted as one being chased away by people. But another poster depicts Bedi as Hindu Goddess Kali. It praised her as the protector of Puducherry and as a saviour of students. The simmering differences between the Congress and Bedi reached a flashpoint when she presided over the swearing in of three BJP leaders as nominated members of the Assembly.